A Luberon dream. Set in the heart of vineyards between Lourmarin and Cucuron, this authentic Bergerie (sheepfold) dating from 1860 has been enlarged and completely renovated with quality materials in a chic and elegant style. A long private road lined with lavender, an olive grove of 60 mature trees, an orchard and truffle oaks leads to the property.The true beauty of the garden and view of the Luberon are approached via a stone arch complete with fountain. The fully landscaped gardens that surround the pool area have been meticulously looked after. Accommodation compromises:On the ground floor: large entrance hall, spacious kitchen with pantry, an inviting and luminous reception room with a high ceiling (4m 30), stone fireplace with retracting terrace windows/doors which completely open up to create a true inside/outside space. From the reception room is the south facing terrace with a pergola, covered terrace and kitchen facilities with BBQ. There is a master bedroom with ensuite bathroom (bath, shower, toilet), dressing room and direct access to the gardens. An adjoining studio 25m2 with high ceilings (4m 30) can be transformed into the fifth independent guest room or gym. On the first floor there are three bedrooms all with ensuite bathroom (shower + toilet) also with excellent ceiling heights (3m 50 m), plus an office area. To full enjoy the long Provence summers the property has expansive south facing terraces (120m2) and lead to a pool of 12 x 6 meters, trellis and outdoor shower.There is shaded parking underneath a pergola for guests and a separate main parking area for the property which can accommodate three cars, and several storage rooms for garden equipment. The property is sourced by filtered spring water and canal water for the gardens with gas central heating. 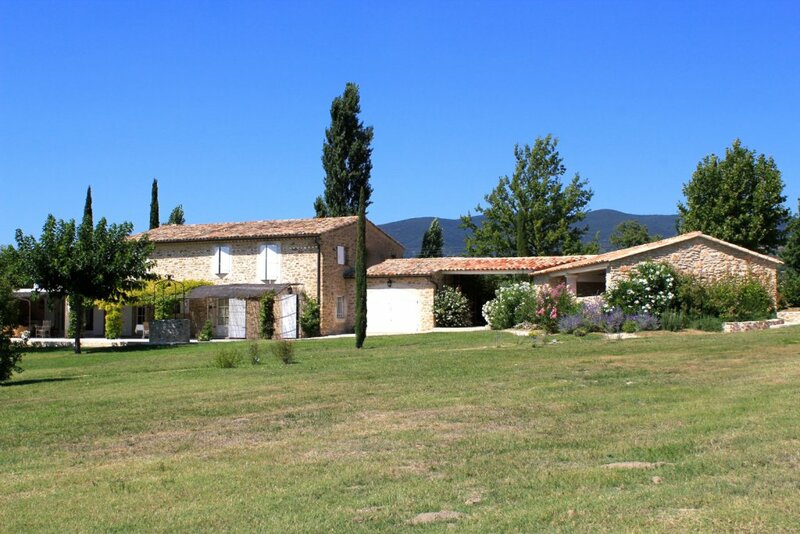 An exceptional property that is being sold fully furnished set in the middle of stunning 2.7 hectares of park gardens in one of the most desirable south Luberon locations.